Const. Matthew Drenter (right) walks into Guelph Police Service headquarters on Tuesday, July 9, 2013. We’ve published a number of cases where cops were using illegal steroids. Here is but one more story in a long string of such episodes. A Guelph police officer has pleaded guilty to neglect of duty and discreditable conduct for his role in helping a fellow officer score steroids. Guelph’s Police Services Board heard Tuesday that Const. Chris Panylo asked Const. Matthew Drenters to procure anabolic steroids on his behalf. Drenters complied, although he got the drugs from an outside source and didn’t profit from the transaction, and gave the steroids to Panylo inside a police building while both were on duty. Panylo pleaded guilty to five Police Services Act charges in April, most relating to an unrelated case in which he stole drugs meant to be used as evidence while on duty. The police service says a fine equal to 20 days’ pay and 40 hours of community service would be an appropriate punishment for Drenters, an eight-year member of the service who has won an award for investigative excellence. His lawyer calls the incident a ‘very stupid mistake’. 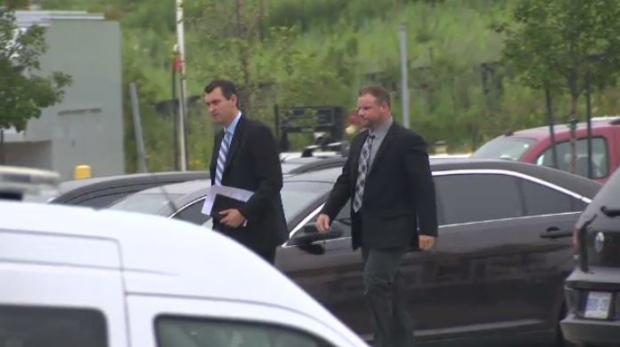 “He is very remorseful that he found himself in this position,” Joseph Markson tells CTV News. The police service says Drentner should have made an effort to discourage Panylo. “It was clear in the evidence that what the officer did or how he conducted himself was unacceptable,” says Insp. Howard McGarr.